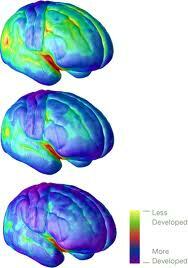 Mr. Rodriguez's Blog: Teaching and lesson planning for the adolescent brain. Teaching and lesson planning for the adolescent brain. When I design a lessen plan I try to incorporate different activities, which will help my students reach their learning potential. We know that the underdeveloped teenager medial prefrontal cortex is directly responsible for the inability of teenager to see other’s perspectives. What that means is that somethings Teenagers don't see the lesson from their teachers perspective. So when I plan a lessen I always try to incorporate different views on subjects or idea, not only that but I try to talk about the information in several different ways. By doing so I offer students multiple ways to view the world and or the subject at hand. In this way I allow my students brains to create pathways to obtaining the knowledge. Also, when I plan a lesson I try to always give my students a purpose they can relate too. In that way they the lesson is not only meaningful but it engages them. This Engagement helps with long-term memory, which is vital when learning how to apply knowledge students have gained in new ways. Another way I access long-term retention is by having an anticipatory set, which is engaging. I try to bring in objects and or pictures to show students, which can help relate meaning to what they are about to study. For instance I showed my students how music builds tension and release in order to keep the listener engaged. In the same way they as writers needed to do the same things in order to keep their reader interested. I play music that in modern and popular so that they can relate the lesson to what I’m saying.